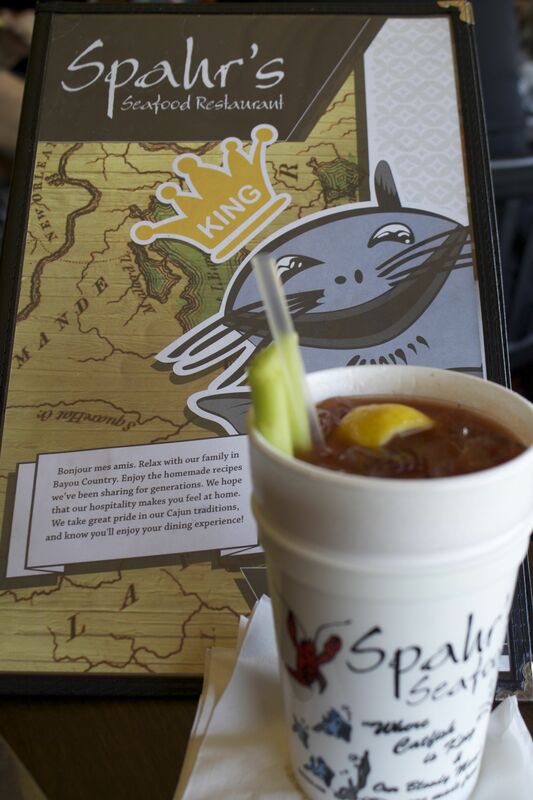 I drive Highway 90 fairly regularly to Lafayette from New Orleans and I’ve always seen the parking lot full at Spahr’s Seafood Restaurant. My parents were in town so we went sightseeing in the area before lunchtime. The cemetery we wanted to see was locked so we drove a bit into Bayou Des Allemands and then to the restaurant just as they opened at 11am. They seem mighty proud of making their Bloody Mary’s from scratch, so Mom and I started with one apiece. They were nice and spicy but with only a celery stalk as vegetation. I’ve gotten spoiled with the pickled okra and green beans that many of the local bars put into theirs. Flavor was good, though, and the drink was strong. 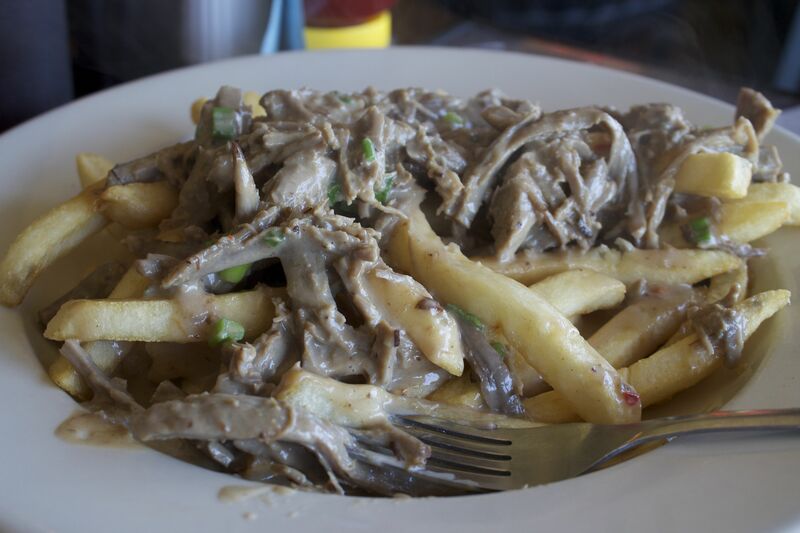 For a starter we had the Tiger Fries – basically a pot roast and gravy poured over French Fries. The gravy was delicious and the fries were thick enough to stand up to the amount of wet. Definitely my new favorite way to get my meat and potatoes. I had the catfish chips. Small pieces of catfish lightly battered and fried. Very clean and fresh tasting. 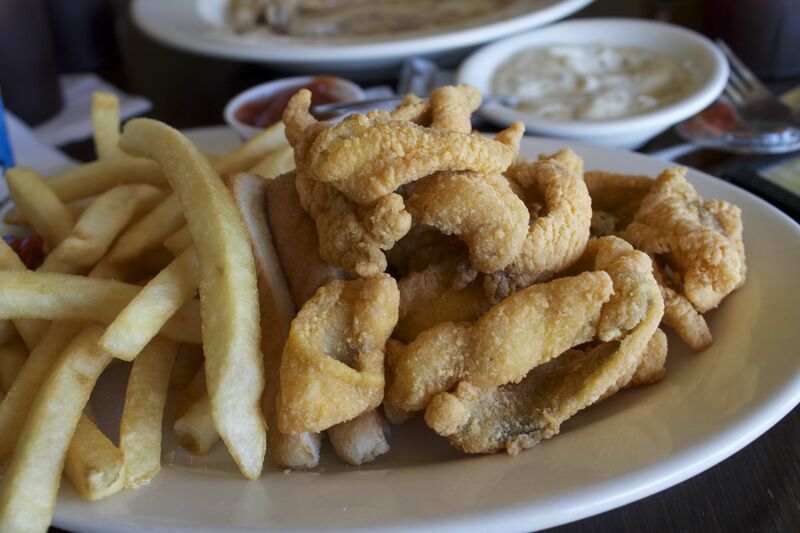 Except for Middendorf’s, these are the best pieces of catfish I’ve put in my mouth. 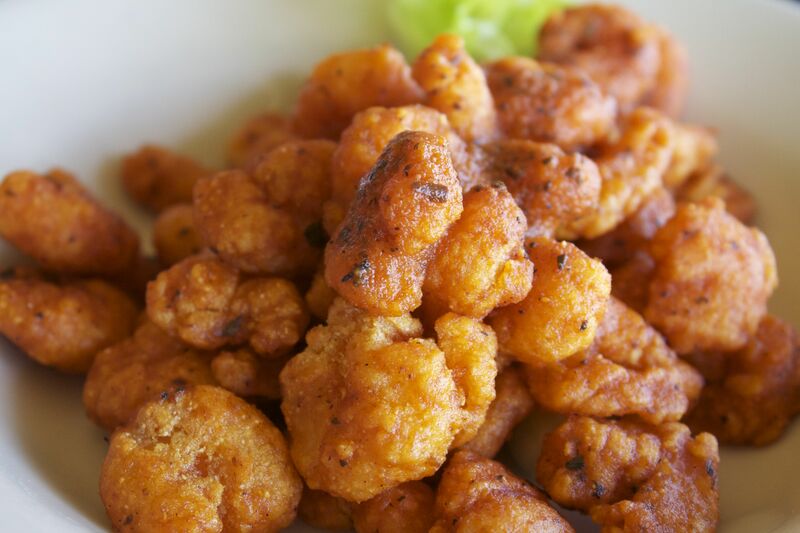 The Bayou Blazin’ Shrimp weren’t hot at all. While the flavor was okay it wasn’t what we expected and it was hard to tell the difference between the ranch dipping sauce and the blue cheese. 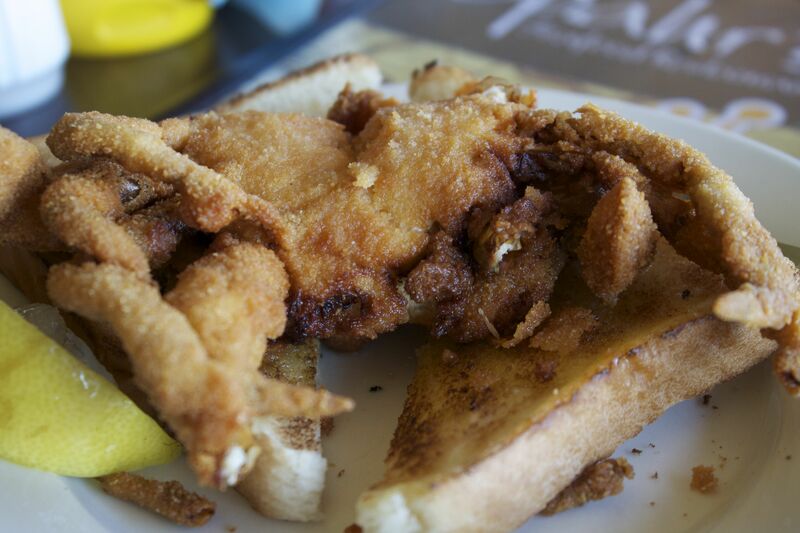 Dad had the soft shell crab (and ate the claws off before I could get the plate to take a picture). He said it was fresh and good but I think they look like spiders cooked like that so I didn’t try any. Service was pretty fast, which was good as the place filled up quickly the minute they opened. It is worth a drive or to make it a stop along the way down Highway 90.